On a cold winter's day, nothing could be better than huddling under a warm quilt and beating the cold. But when the weather isn't all that cold, what do you do with your beautifully crafted quilts? Well, you could put them on display. With their rich colors, they are sure to liven up your room. 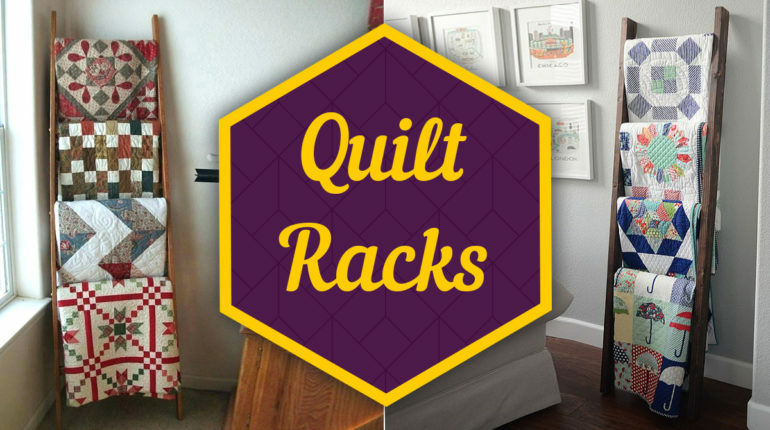 Racks are a traditional means of exhibiting your craft at quilting. This refers to a frame with one or several rods on which you can hang your quilts. Some racks are meant to be wall-mounted, while others are the standalone type on the floor, like a blanket stand. Both types are convenient and accommodate several quilts to be stored in a limited space. Buy a vintage ladder from a local antique shop and lean it against a wall at your home. Hang your folded quilt over each of its rungs, and you have the best display for your quilts. For a quilt to be hung on a wall, go with any size, large or small. To hang it on a wall, do so with a hanging sleeve. Once you make the sleeve and stitch it on the back of the quilt, insert a wooden rod through it and rest it on the wall. Now, your quilt can be hung on a wall of your choice. If you have several bookshelves in different parts of your home, surely you can add a little fabric to it? Roll up your quilts that you've stacked on a shelf so that it brightens up your room. Use a wall quilt to frame your mantel. For best display, choose mantel decor that goes with the theme of your quilt. It works wonderfully well at Christmas time or for seasonal patterns to create a focus around a particular pattern. Your quilts can keep you warm during the winters. This means they are best displayed on your bed. You can easily use them as bed covers during this season or leave them folded at your feet. Alternatively, stretch them at the base of the bed like runners. Figure out the height of your headboard and add on curtain rod brackets and a curtain rod. 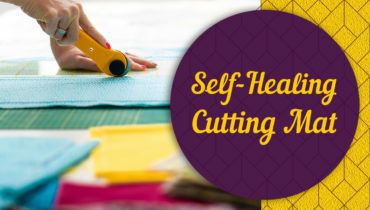 Next, adjust the fit of the quilt and let it roll over the rod to create a customized headboard. Not only will it color your bedroom, but also an innovative headboard. Show off the design of your quilts by draping them on hooks. You can do this using coat racks, standalone hooks or shelves bearing pegs and have a cute display of your quilts. The back of your rocking chair or patio furniture makes a wonderful home for your quilt display. You'll find this of practical help on cool evenings that you spend outdoors. If you have quilts that aren't all that special to you and that can get a bit dirty and use them in covered spaces. 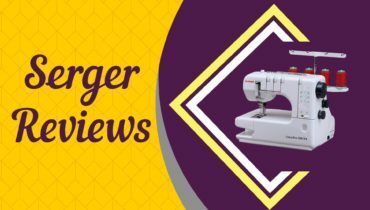 Now that you know how to use and display quilts, read on to find some of the best types of racks available today. All the five below-mentioned products are easily available on amazon. Are you looking for a quilt display style that adjusts to your needs and open space? Well, the LadderRack is just what you're looking for. This quilt display rack is both versatile and smart, you can fold it in an A-frame shape or lean it against a wall for your visitors to admire your artistry. Made from clear premium pine, this quilt rack is 5 1/2 ft. in height. It can hold five reinforced round-shaped hanging rungs weighing 4.5 kg each. It won't damage your blankets or quilts. Product dimensions: 67 1/2" x 24"
2. 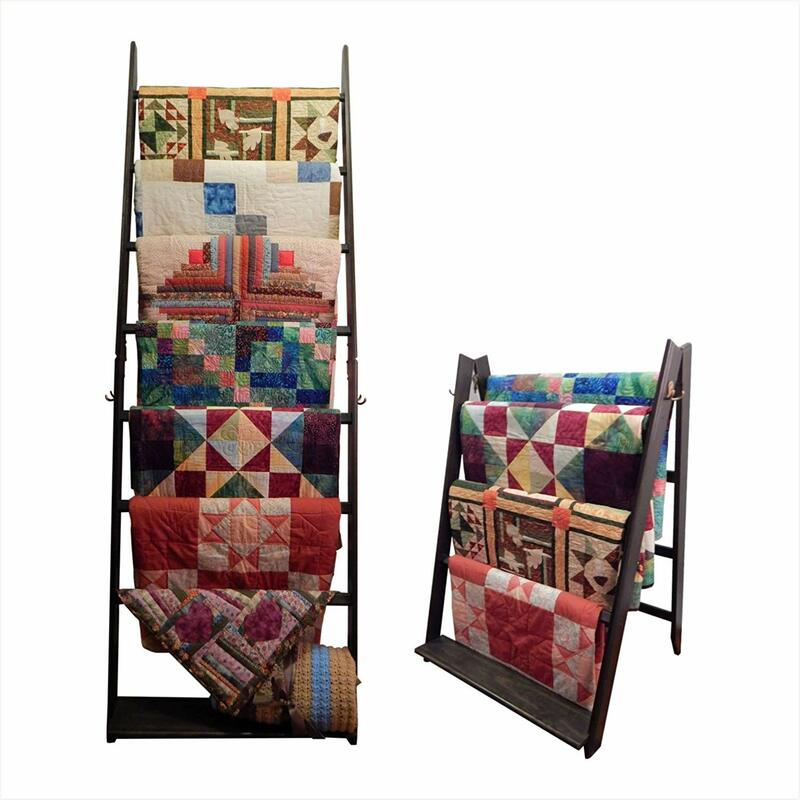 OFTO Handmade Quilt Rack - 4-Tier Quilt Ladder Holds 7 Blankets or Afghans for Vender Displays - Great for Pillows, Shams and a Comforter Folds Flat for Storage, Non-Toxic Finish. Craft Show booths. You've created your very own quilt, now how about displaying it effectively? Is there a piece of furniture that can hold it up well? Enter the OFTO Handmade Quilt Rack--just the stunning destination for your colorful and imaginative quilt. 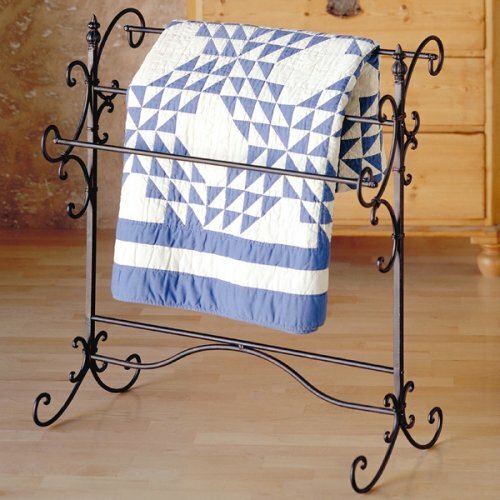 This four-tier quilt rack design can hold a maximum of seven quilts, comforters, afghans or tapestries. If space is a constraint with you, this A-frame can fold in half and rest against a wall. It can be stored away easily and can also be easily transported if you're holding an exhibition of quilts. It has a clear, VOC-free coat and is non-toxic, safe and eco-friendly. It is safe for humans and pets. It makes a great addition in guest bedrooms as a pillow sham and holder for comforters. 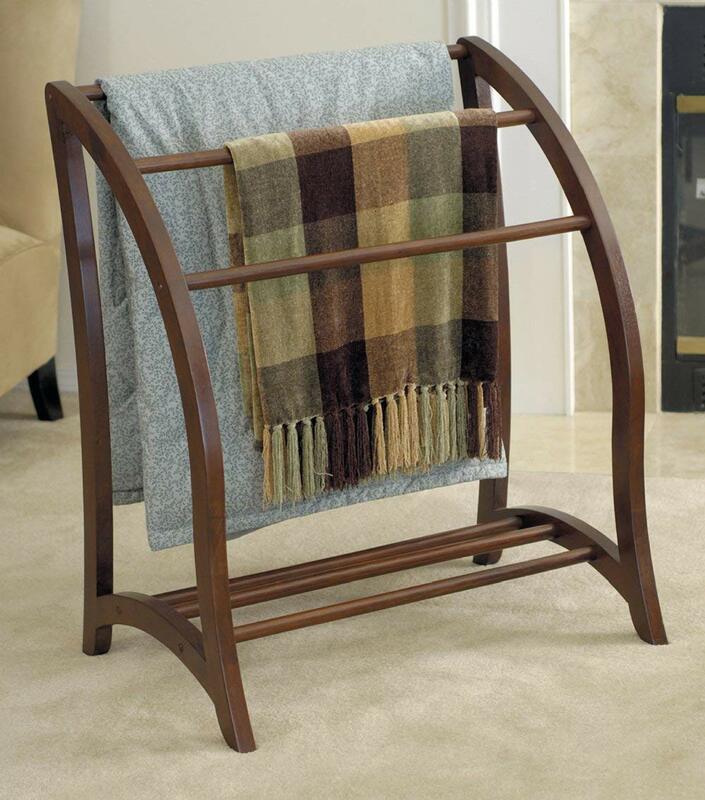 Product dimensions: 27" x 47.5" x 18.5"
Elegant and versatile, this blanket rack is very sturdy too. It makes the perfect addition in regal environments, so don't go by its slim looks. This quilt display stand is made from the best quality tubular steel. It is rubbed with bronze enhances its attractiveness. It is the perfect addition to smart bedrooms, living rooms or bathrooms. Product dimensions: 16" x 31.5" x 35.2"
Perhaps you're a quilt hobbyist or a collector? Now, display all the quilts you have in great style. Here's the LadderRack that can hold a maximum of five rounded quilts. This five-rung 24" quilt display is 5 1/2 ft. tall. It adjusts well to your needs and space--fold it in an A-frame or lean it against a wall. 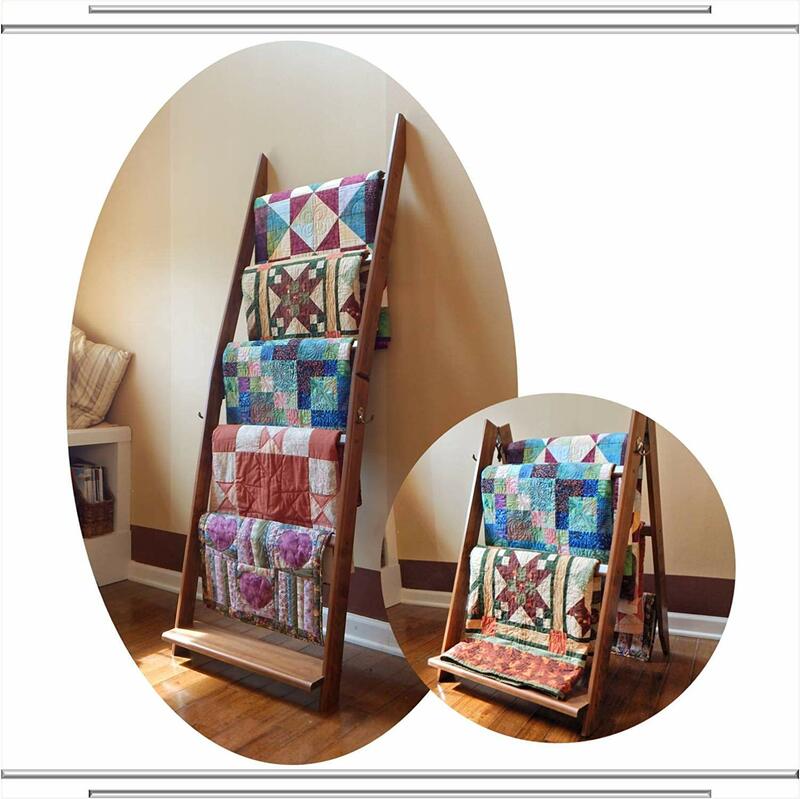 The LadderRack's design lets your quilts hang loose without moving the ladder from against the wall, even if you use the top rung for quilt display. It allows for five strong and rounded hanging rungs to be hung on it, weighing a maximum of 4.5 kg each. The rack will not damage the blankets or quilts placed on it. It comes with a six-inch deep shelf at the base for display or storage, and a hand stained or rubbed smooth satin poly finish. It is made from clear premium pine. The package includes non-slip pads for the walls and floors. Assembly required; moving from A-frame to ladder doesn't need the use of tools. Choice of five satin finish colors for staining to match your interior design. This elegantly carved quilt stand, made entirely in antique walnut, originated in Thailand. It makes for attractive storage space for quilts, towels, blankets, comforters, etc. 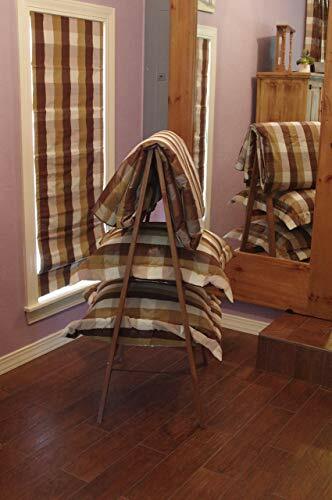 It can also stand blankets, making it a very useful wooden blanket rack. It is made of solid beach wood and is finished in a rich walnut color. A wooden quilt rack, the Winsome Wood stand is perfect for storing and displaying blankets and quilts. It helps keep spare linen within easy access. It cannot hold more than three quilts or bath towels at a time. Its walnut finish blends well with the pre-existing decor. It needs to be assembled. Product dimensions: 30" x 20" x 36"
These elegant pieces of furniture can greatly enliven your room with the spot of color that it brings with it, from your quilts or blankets. Call them what you will-- wooden blanket racks or comforter rack or display stands, but if you're into crafts, you will definitely add one to your living room or bedroom for effective display.